The Raw Beauty Project Celebrates Beauty, Power, and Passion with Los Angeles Exhibit Debut Sept. 17 at Paul Mitchell The School – Pasadena. The Raw Beauty Project is an innovative photography exhibit that celebrates women with disabilities. The goal of the exhibit is to redefine perceptions of beauty, educate audiences, and empower all women. The Raw Beauty Project advocates for inclusion and inspires all to embrace their beauty, own their power, and live their passion. Angela Rockwood of "Push Girls"
Los Angeles, Ca, July 12 , 2016 - The Raw Beauty Project launched an Indiegogo campaign on June 20 to raise funds for the Los Angeles exhibit at Paul Mitchell The School – Pasadena, to be held on September 17, 2016. This innovative art project made its debut in NYC, celebrates unstoppable women with disabilities, educating viewers to redefine perceptions and beauty, unleashing potential for all. This powerful exhibit has resonated with media across the world, igniting a global conversation and has been featured in "O", Oprah Magazine – “These Photos Prove Beauty Isn’t Determined by Ability”, TODAY.com, Huffington Post, as well as many publications across Europe. Photographed by fashion and celebrity photographers from the L.A. area including Creative Director, Daryl Henderson, the Los Angeles exhibit will consist of over 20 local, amazing models, and will include their remarkable stories. The L.A. exhibit will unveil a brand new way to experience The Raw Beauty Project photographs, using tactile printing, in addition to traditional gallery prints. The campaign has a goal of $10,000 and will run until August 4, 2016. The Raw Beauty Project was founded by Ginny Dixon, Dr. Susan Solman, and Wendy Crawford. Ginny Dixon is an accomplished photographer, a member of three Pullitzer-Prize winning newspaper staffs, and the Director of Photography at the Miami Ad School Wynwood. Dr. Susan Solman, is a Podiatrist, Pharmacist and Professor who was paralyzed at 40, due to a spinal cord tumor. Solman devotes much of her time to inspiring others to move forward with their lives. Wendy Crawford, was an up-and-coming model, when she was struck by a drunk driver and was paralyzed. Crawford is a TEDx speaker, and founder of MobileWOMEN.org. Her mission is to raise awareness of issues that women with disabilities face. These dynamic women have joined forces with other disabled women across the country, including actress and producer of reality television series “Push Girls”, Angela Rockwood, to volunteer their time to create The Raw Beauty Project Project L.A. Proceeds from The Raw Beauty Project Indiegogo Campaign will go towards expenses incurred in creating the exhibit such as printing of the photos and narratives (which hang next to the pictures), shipping costs, venue rental, website (URL and hosting costs), social media, PR, and event production costs. Excess funds will go to The Raw Beauty Project so that the exhibit may travel to other worthwhile organizations. Also, with enough funding, The Raw Beauty Project would love to hire women with disabilities to work on the project. The mission of these powerful women is to promote inclusion and create a global movement, where all are inspired to Embrace their Beauty, Own their Power and Live their Passion. To support this important movement, please consider a donation and/or share with friends and family. Donations to The Raw Beauty Project are tax-deductible through a fiscal agent. 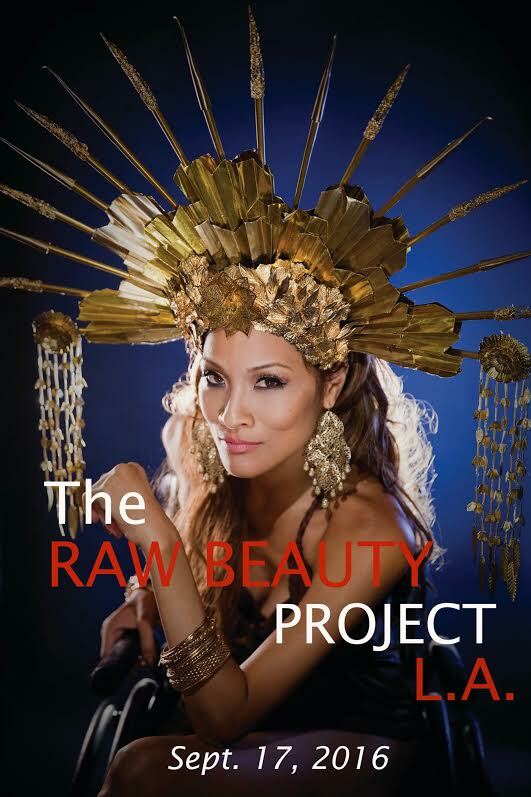 The Raw Beauty Project is funded by sponsors, donations and event ticket sales. The Raw Beauty Project is a sponsored artist with Performance Zone Inc (dba The Field), a not-for-profit, tax-exempt, 501(c)(3) organization serving the performing arts community. Contributions to The Field earmarked for The Raw Beauty Project and all donations are tax-deductible to the extent allowed by law. For more information about The Field contact: The Field, 75 Maiden Lane, Suite 906 New York, NY 10038, phone: 212-691-6969 or fax: 212-255-2053 or for our national charities registration, see details. A copy of our latest financial report may be obtained from The Field or from the Office of Attorney General, Charities Bureau, 120 Broadway, New York, NY 10271.